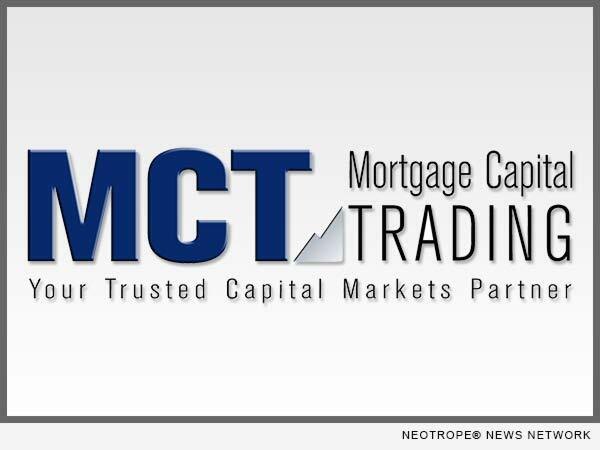 SAN DIEGO, Calif. /California Newswire/ — Mortgage Capital Trading, Inc. (MCT), an industry leading hedge advisor and developer of MCTlive! (TM), the award-winning secondary marketing software suite, has entered into a strategic collaboration with Fannie Mae(R) to facilitate new technology deployment, collaborative planning, and better service to mutual clients. The initial impact of this collaboration is to enable MCT to connect to live Fannie Mae pricing for real-time distribution to mutual clients within the MCTlive! platform. This connectivity allows for timely best-ex analysis, and faster execution for Fannie Mae sellers. also develops and supports MCTlive! (TM), an award-winning real-time, trading and best-execution secondary marketing platform. MCT’s LockCentral(TM) is the industry’s largest outsourced centralized lock desk service. For more information, please visit www.mct-trading.com or call (619) 543-5111. Fannie Mae is focused on advancing a sustainable and reliable business model that reduces risk to the housing finance system and taxpayers; providing reliable, large-scale access to affordable mortgage credit for qualified borrowers and helping struggling homeowners; and serving customer needs and improving our business efficiency. We are setting responsible standards for the mortgage industry, paying dividend payments to Treasury, and helping homeowners facing hardship keep their homes or avoid foreclosure. Learn more about our progress by clicking on the links below, and visit www.fanniemae.com.